Life has an audiophile demanding and any audio source below excellence could be frustrating and annoying. We set out to review some of the best audiophile-grade headphones available on the market today and we’ve got some interesting picks that will light up the excitement of the most enthusiastic of audiophiles. Before moving over to our review of the best audiophile headphones, it will only make sense to shed light on some areas so as to help the audiophile pick their choice of the best audiophile earphones. What type of audiophile earphones would you want? Because an audiophile will be sensitive to most of the inherent flaws that would often be overlooked or unnoticed by the average person, it is necessary that some considerations are carefully ironed out before making the splurge. We’ll briefly discuss some of these in short paragraphs below. Most headphones are often closed-back or open although most audiophiles prefer the open-back design due to its perceived better sound quality, clarity and wider soundstage. This is possibly aided by the free flow of air in and out of the earcups. Most audiophile headphones we know never adopt the fully closed design except for the Sony MDR-Z7. This is largely the most important part because a pair of headphones with diamond studs but very poor sound output will do little to the demands of an audiophile. The sound quality of your audiophile headphone should be topnotch so you don’t end up disappointed. Later on in this article, we’ll list out 5 of the best audiophile headphones with reliable sound quality as well as not lacking in the other necessary parts. Audiophile headphones cost more and so you’d want to be sure you’re getting great value for your investment. A lot of factors such as the design, construction, usage and more will determine how durable and long-lasting you get to enjoy your earphones. Without mincing words, ensure that you’re getting a product that won’t break down when you’re in the heart of the fun. This is one other important thing you may have to consider before you go shopping. While ordinary earphones may come at ridiculously affordable prices, audiophile headphones cost more. This is not to say there aren’t budget-friendly headphones for sound enthusiasts, our review still contains some of the best budget audiophile headphones but it is just normal to know within which gap you’d look before stepping into the waters. As you read on, you’ll be informed about certain types of headphones in different budget categories with their different areas of excellence and drawbacks. Along with the tips and guides presented above, you want to choose something that will fit into your routine use and plans. When you need earphones that will also serve purposes of noise cancelation, then be sure you go for one with either active noise-canceling or passive noise canceling. Depending on your routine, comfort may be another thing you should do well to think about. If you need the best earphones for sleeping, i.e you may probably have them on till you fall asleep, then you should go for those audiophile headphones that has been carefully constructed for comfort and convenience since they’d mostly be on your ears for extended periods. We sum up this section by imploring you to pay attention to details and carefully read reviews and product descriptions before making your purchase. This review has been compiled to save you the stress of poring over different web pages as we’ve combined all the information you’d mostly need into this single write-up. If you still doubt whether or not you’ll really need some of these, then you got to try them out to see what you’d been missing. In as much as the audio source, i.e the song or music is the number one star of the show, a mediocre set of headphones could make you miss out on all the enjoyment that comes with getting it exactly as the artists intended them to be. With the best audiophile headphones, trebles and bass are brought to life, highs and lows are reproduced with precision, it’s an experience you’d long to always have. As an audiophile, only a pair of headsets that appears flawless can appeal to your instincts, if you’re in the market for something that will bring you closer to perfection, maybe the Sennheiser HD800 is what you’ve been looking for. Forget about the popular Sennheiser brand name, every audiophile would surely respect the quality of most Sennheiser headphones. The Classic HD650 and the others also churn out excellent performances but it is the Sennheiser that leads the line, not just in the Sennheiser family though, it is perhaps the best dynamic headphone we’ve ever reviewed. But wait, the Sennheiser HD800 is only for the most enthusiastic audiophiles as it will cost you a significant chunk but in all honesty, it is worth every penny it costs. 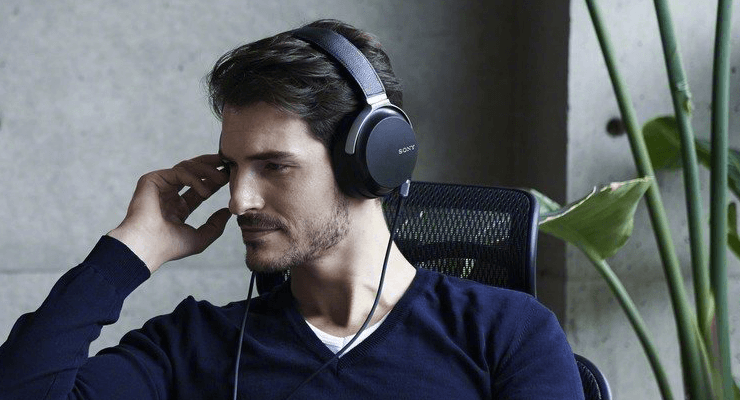 For a set of cans that combines comfort plus excellent sound output in a wireless design, the Sony WH-1000XM2 is the audiophiles’ answer to the best audiophile wireless headphones. This headphone offers one of the best sound qualities you’ll find around. The level of comfort you get from these pairs is great for extended listening hours. There is also this active noise canceling feature that ensures you do not get muddied up in unwanted noise from your immediate environment while using the headphone. The price is reasonable and it is no coincidence that it is the favorite among audiophile shoppers on online stores such as Amazon. The headphone comes with some accessories that will definitely be useful for audiophiles who are often on the road. The Sony MDRZ7 is again one of the best audiophile headphones you’d find around. It features a well-crafted and engineered design that is aimed at maximum comfort while still churning out audiophile-grade sound output. Although it still costs a fair amount, you may find it cheaper than the Sennheiser HD800 above. Although the Sony MDRZ7 audiophile headphone features a closed-back design unlike most audiophile earphones, it still has a wide soundstage that sounds so much like a closed-back headphone. They come with the necessary detachable cables and adapter for easy use and storage although there are no pouches or carrying cases. For one, the DT770 Pro deserves our commendation and praise. These headphones have been around for over a decade and today they are not just still relevant but still getting worldwide acceptance from audiophiles and even professionals in the audio industry. You’d first be skeptical about what will come out of a cheap, closed-back headphone but be careful as the DT770 Pro is not your average headphone. As affordable as it is (arguably the best among the best audiophile headphones under $200), the Beyerdynamic DT770 Pro is one of the best audiophile-grade headphones you’d find anywhere, they’d been around for a while and surely, they would still be for much longer. The ATH AD700X has a somewhat brash but unique headband design but that is not all this headphone is about. As one of the best budget audiophile headphones, the ATH AD700X has all it takes to transport you into the heart of the concert and entertainment with is wide open back design allowing more room for all of the vocals and beats to manifest and breath. This is another masterpiece from the popular Audio Technica brand and it is amazing that after its entry into the audiophile earphones market, the ATH AD700X is still standing tall with its reputation intact after voluminous sales and hundreds of buyer reviews. All of these perks and performance coming from such an affordable pair of headphones, then the ATH AD700X surely deserves its place among the best audiophile headphones under $100. We present you five great options to choose from. Whether you are a fan of wired or wireless connectivity or you need a pair of headphone with noise canceling feature, no matter your preference, the best audiophile headphones we have presented above are the best set of cans in the market right now. No matter your leaning as an audiophile, a simple perusal of this review and buying guide will help you make the right buying decision. As audiophiles, getting the best available sets is non-negotiable if you’d enjoy your favorite tracks and tunes with fewer distractions and frustrations. We brought you some high-performing audiophile headphones as well as some budget-friendly audiophile headphones that would still give you audiophile-grade enjoyment with little to pay for. Choose your pick from our list of the best audiophile headphones and you can begin to enjoy high-fidelity sound with frustrations.